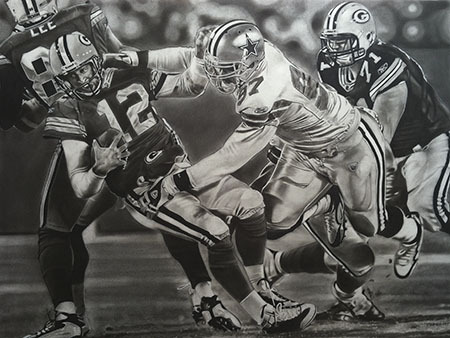 Gotcha – When two of the NFL’s most storied franchises, the Dallas Cowboys and the Green Bay Packers meet, fireworks fly. 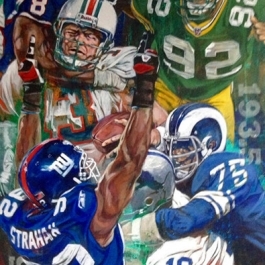 In this NFL painting a Dallas Cowboy defender gets the better of the Packers All Pro quarterback, sacking him for a big loss. 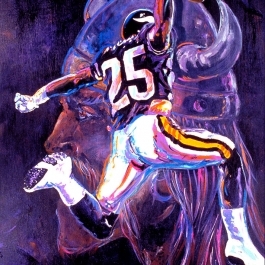 NLF art is both on and off of the field, as depicted in this black and white print. 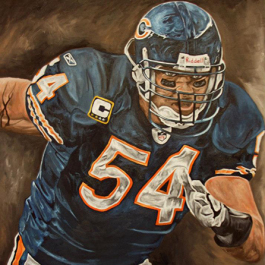 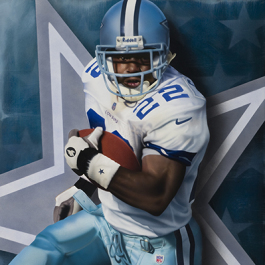 It is a great addition to any man cave or sports art collector’s favorite piece of NFL memorabilia.